Really Recommended Posts: Halloween Edition 2011 | J.W. Wartick -"Always Have a Reason"
Halloween is tomorrow, as you all know. Christians often wonder about this holiday. I’ve collected some links to blogs on the topic. The list will grow through tomorrow. Sent into the Harvest: Halloween on Mission– Over at Desiring God, check out this post which points out Christians are sent to the world. The Tricky Topic of Halloween– RTB scholar Ken Samples discusses Halloween. As usual, his insight is both clear and compelling. He shares some history of Halloween as well as suggestions to Christians about the holiday. 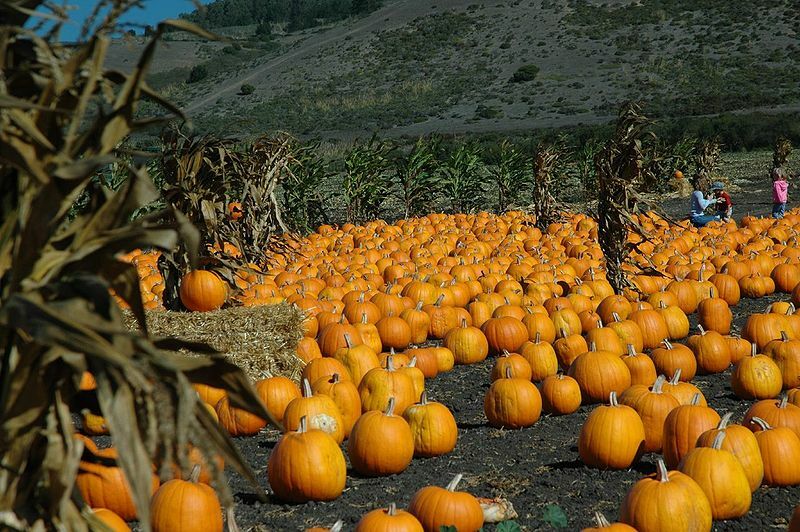 Halloween- The Great Omission?– A phenomenal post on a mission-oriented view of Halloween. Hallelujah, Harvest, and Halloween Alternatives– Discussion about how Christians have utilized Halloween and made an alternate celebration or holiday. A balanced perspective on the topic found at: As a Christian, Should I celebrate Halloween? Redeeming Halloween– Discussion of the book, “Redeeming Halloween” by Kim Wier and Pam McCune. Thank God for Halloween– John Mark Reynolds writes about the topic and points out a key fallacy in the argument that Christians shouldn’t celebrate Halloween. Halloween: Fascinated by Spirituality?– Interesting discussion on the motivations of Halloween and Christianity. What is Halloween?– Discusses the background of the holiday and some of the traditions that go with it. A different perspective (with which I disagree, but respect) is given over at Christian Answers: Should Christians Celebrate Halloween? A respectful, middle-of-the-road answer to the question “Should Christians Celebrate Halloween?” is given over at Grace Communication International. The “Thank God for Halloween” post by John Mark Reynolds is awesome. What a great reflection on this holiday. Thank you for sharing! So, I read both posts on Should christians celebrate halloween. The first one, in my opinion, Load of Crap. The second post, the person seemed to have a brain in their head, though I cry foul when halloween was compared to christmas. But, thats really another reply for another time. I’ve known christians over the years that decided to let their kids trick or treat, but dress them up as bible characters. They figured they could fight off all the witches and demons with Moses and Mary and Joseph, etc. Well thats fine. I mean, look at how many little girls dress as angels. I guess my opinion is, if begging for soul cakes back in the middle ages was good enough for our ancestors, then begging for candy is good enough for our kids. Lets not forget that our halloween is only 80 some years old and really started as a way to prevent the older kids from playing their dangerous pranks on people. They were basically bribed with parties, treats and dressing up. Hence the Trick or Treat. So, in the end I say, Have at it kids, have at it. I mostly agree, Karen. I tried to include a broad range of opinions on the topic, even those with which I disagreed.